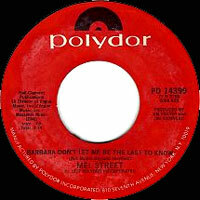 Chanteur Country US né King Malachi Street, le 21 Octobre 1933 à Grundy (Virginie de l'Ouest). 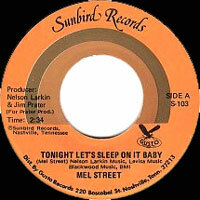 Mel Street est décédé le 21 Octobre 1978 à Hendersonville (Tennessee). 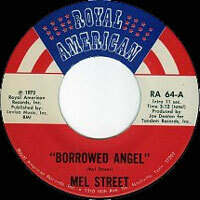 Before his career ended in tragedy, Mel Street was a talented hard country singer whose emotional style harked back to the honky tonk of yesteryear. 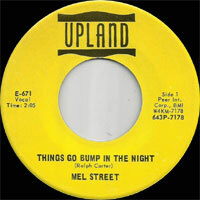 He was born King Malachi Street in Grundy,VA; most sources list his birth date as 1933, but his family claims 1935. 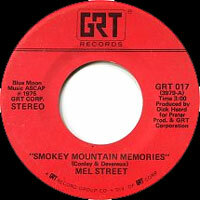 The son of a coal miner, Street first performed publicly on a radio show at age 16. He married, had a family, and moved around Ohio for a few years working as an electrician on radio transmission towers. He started performing in Niagara Falls clubs in 1960 and simultaneously learned auto repair, which led to his moving back to West Virginia to open a body shop in 1963. 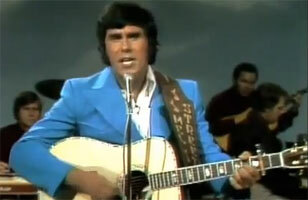 He continued to sing, however, and eventually landed his own half-hour Saturday night show on a local TV station, which ran from 1968-1972. 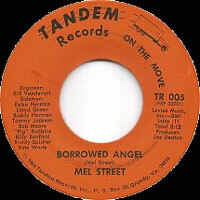 He released his first single, "Borrowed Angel," in 1970 on the small Tandem label, which was owned by cable TV company heads Jim and Jean Prater. 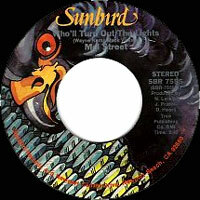 It managed some airplay and was licensed for wider release by Royal American Records, which helped it become a Top Ten nationwide hit in 1972. 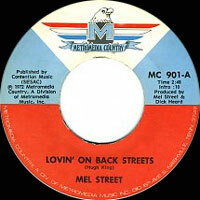 Street signed to Metromedia and had his first and only Top Five hit with the follow-up, "Lovin' on the Back Streets," in 1973. 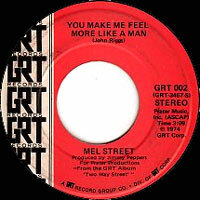 Now adopting a rigorous touring schedule, Street moved to GRT Records in 1974, where he had two Top 20 hits with "You Make Me Feel More Like a Man" and "Forbidden Angel." 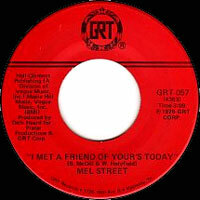 Another Top Ten hit, "I Met a Friend of Yours Today," arrived in 1976, after which he moved over to major label Polydor. 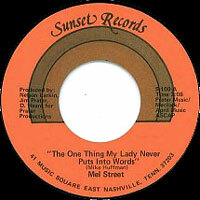 Two albums followed in 1977 and 1978, and he had two more hits with "Barbara, Don't Let Me Be the Last to Know" and "If I Had a Cheating Heart." He was rewarded with a lucrative new contract with Mercury, and stardom appeared to be just around the corner. However, Street had been battling depression and alcohol problems for some time, and as his touring schedule took more and more of a toll on his family life, he became increasingly unable to cope. On October 21, 1978 -- his birthday -- he committed suicide. 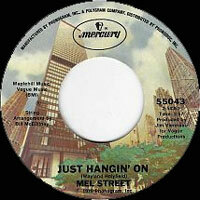 He had a couple of posthumous chart singles with "Just Hangin' On" and "Tonight Let's Sleep on It Baby," but sadly, his tremendous potential was never fully tapped.